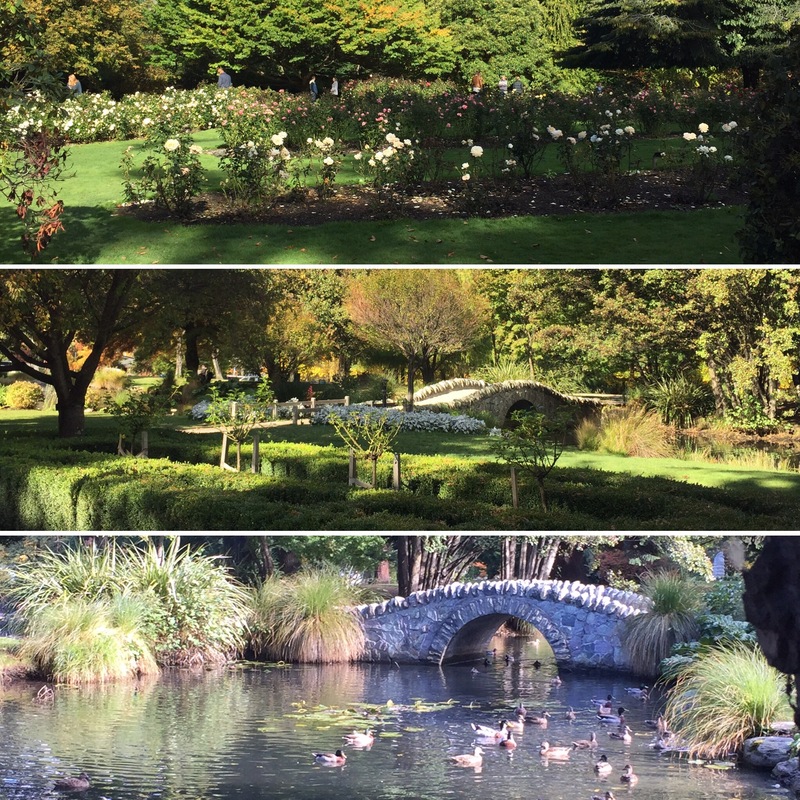 On the 17th April 2017, me and Niall went for a walk in the Queenstown gardens. They were really pretty and ran along one side of the lake. I loved seeing all the autumn colours, especially seeing as we hadn’t had an autumn as we had been in Australia and it is one of my favourite seasons at home. 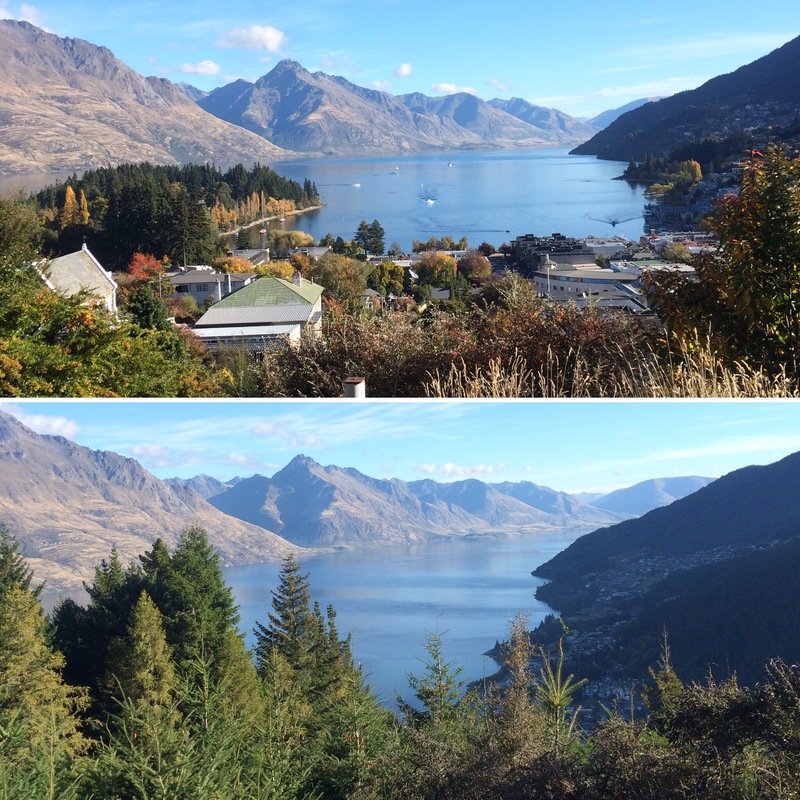 The place looked so pretty and we were fortunate enough to have sun and clear skies whilst in Queenstown which made everything look that little bit nicer and brighter. 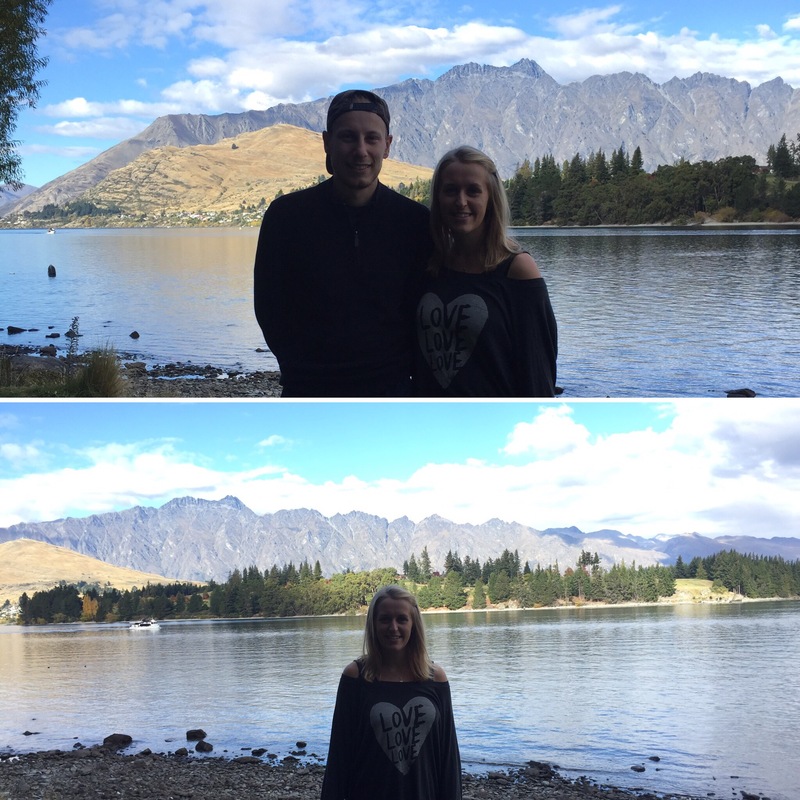 We walked along the lake and could see far into the Remarkable’s Mountain Range. The view was stunning and it would be great to go back there to see it all covered in snow! 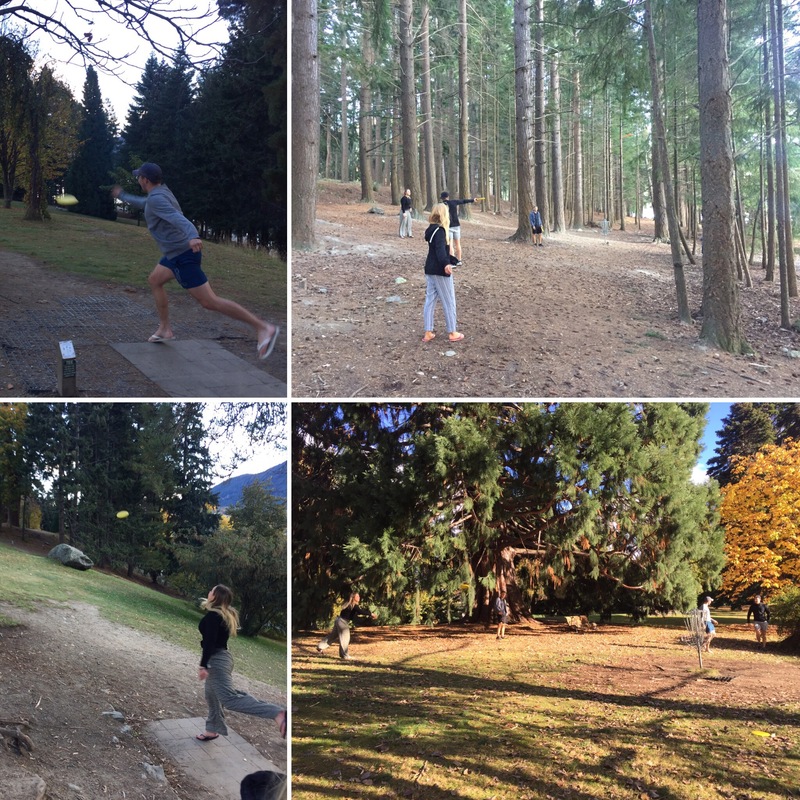 Later on we met up with Matt, Emma, Beth and Callum to play frisbee golf in the park – a popular pastime in Queenstown. There were 18 ‘holes’ which were actually baskets dotted about the park which you had to try and get your frisbee in from the starting spot in as little throws as possible – just like normal golf. 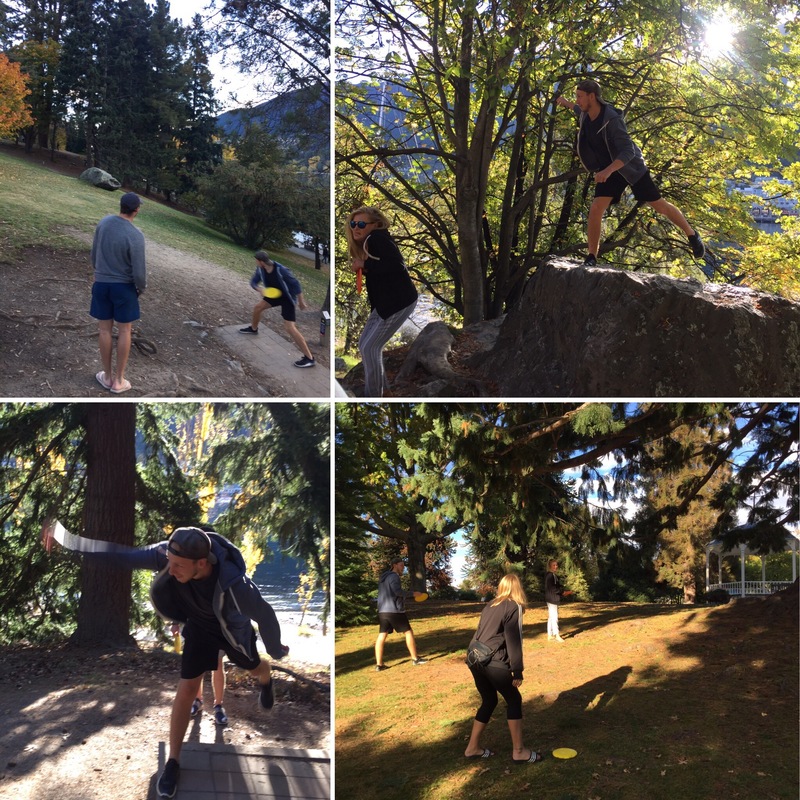 It was a really funny game with some of us having some shockingly bad throws and we all thoroughly enjoyed ourselves – this is a must try whilst in Queenstown to kill a couple of hours. Matt and Callum play an awful lot of golf back home which is maybe why they were very good at frisbee golf but we all did pretty good in the end. On the way back to the hostel we went to the Remarkable’s Sweet Shop which gave out free fudge samples. 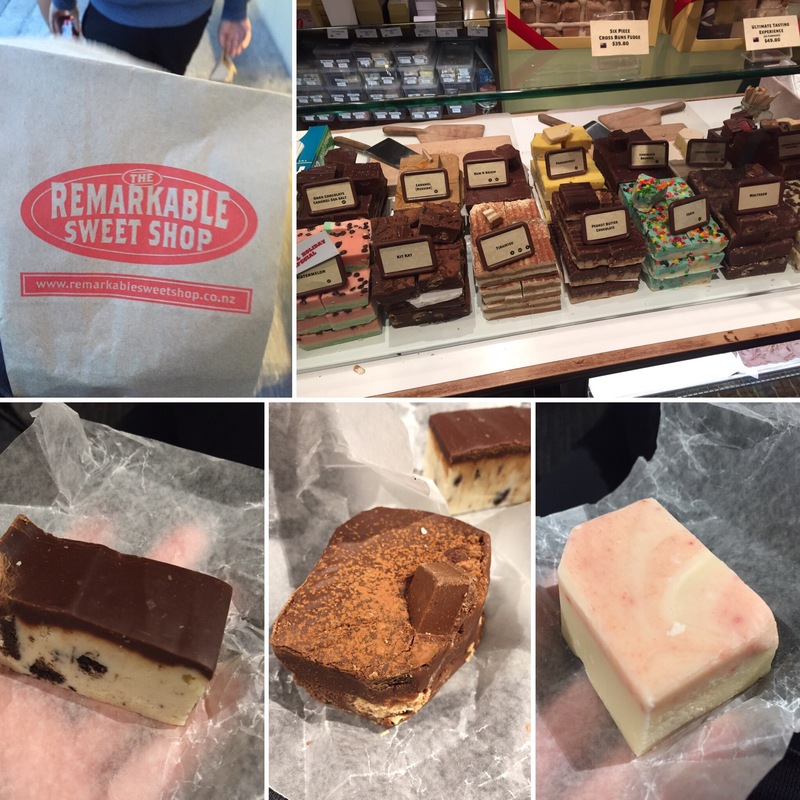 We had all tried so many that we felt like we should buy some of the fudge (plus it was really nice!) so I ended up buying strawberry cheesecake, cookies and cream and a Kit Kat flavour which were all really good! 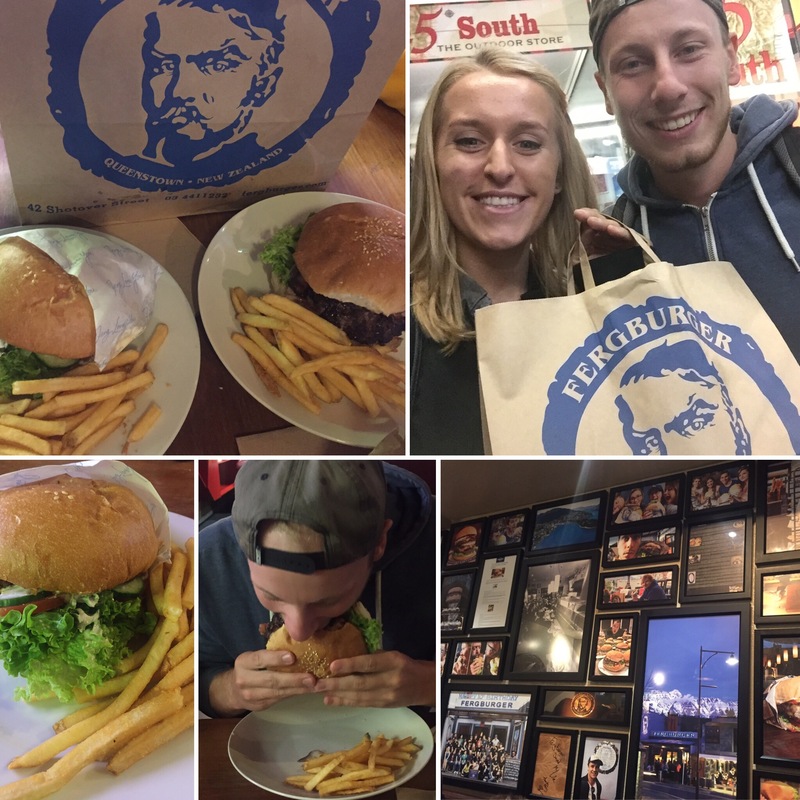 Queenstown is famous for all the nice places to eat and so we tried a burger place that was next to our hostel called Devils Burger. I had a fish burger and Niall had a bacon and cheese burger and we both really enjoyed them. They also did cheesy chips that tasted just like the takeaway chips I would get after a night out back home with garlic sauce so we all enjoyed having some of those – it was very nostalgic! 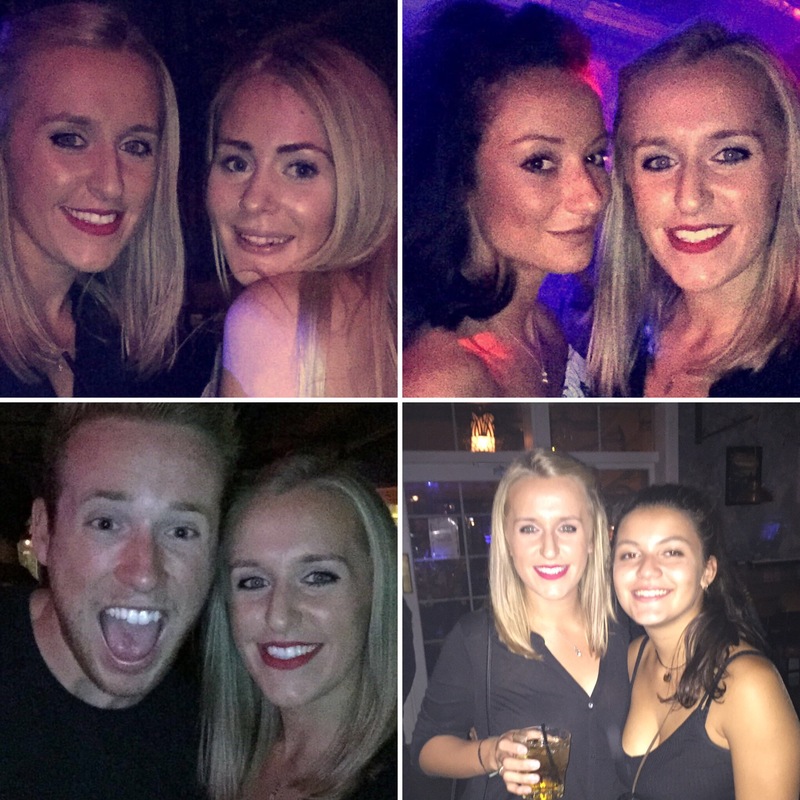 It was Matt, Emma, Beth, Pier and Teddy’s last night in Queenstown and so we went out again that night (although, in all honesty we would likely have gone out regardless). We went to loads of different bars and ended up in a karaoke bar which had everyone in big groups singing the most random songs. It was another good night all together and our group was becoming smaller as everyone began to go their separate ways. The following day, me and Niall went back out to enjoy the lovely views over the lake. We skipped stones onto the water and I bought an ice cream at this fancy cafe by the waters edge called Patagonia that let you make an ice lolly from scratch by dipping it in melted chocolate and covering it in a topping of your choice. I chose a dolce de lache flavoured ice lolly, covered in white chocolate and topped with crushed Oreos – it was really nice. 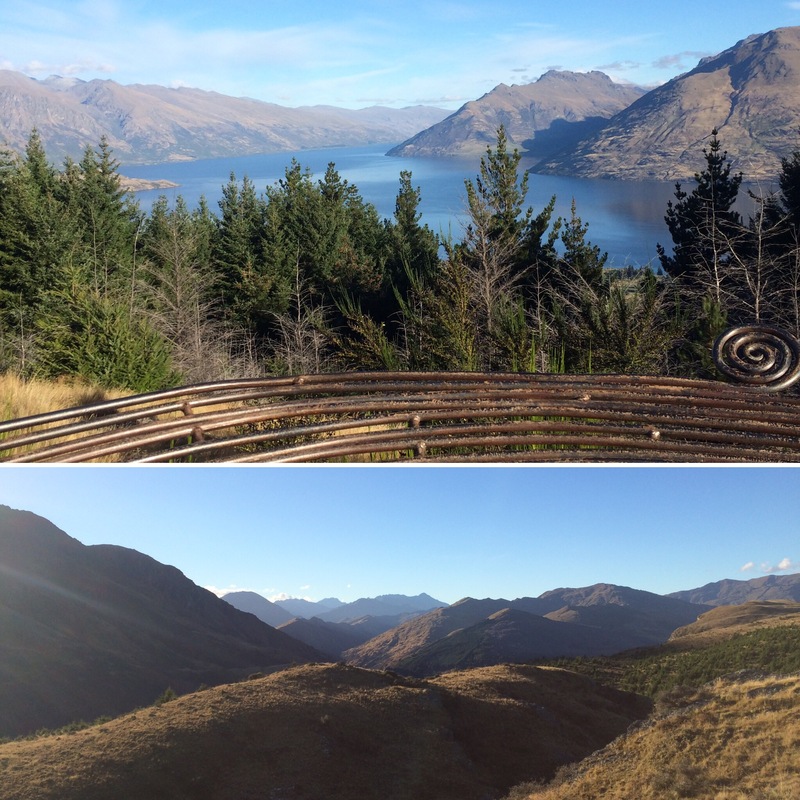 Whilst some people went to do canyon swing and zip lining, Niall, Annie, Callum, Laura and Lalit all climbed the Queenstown Hill. They had a really good time and got some great pictures of the views. It couldn’t have been better weather for them. 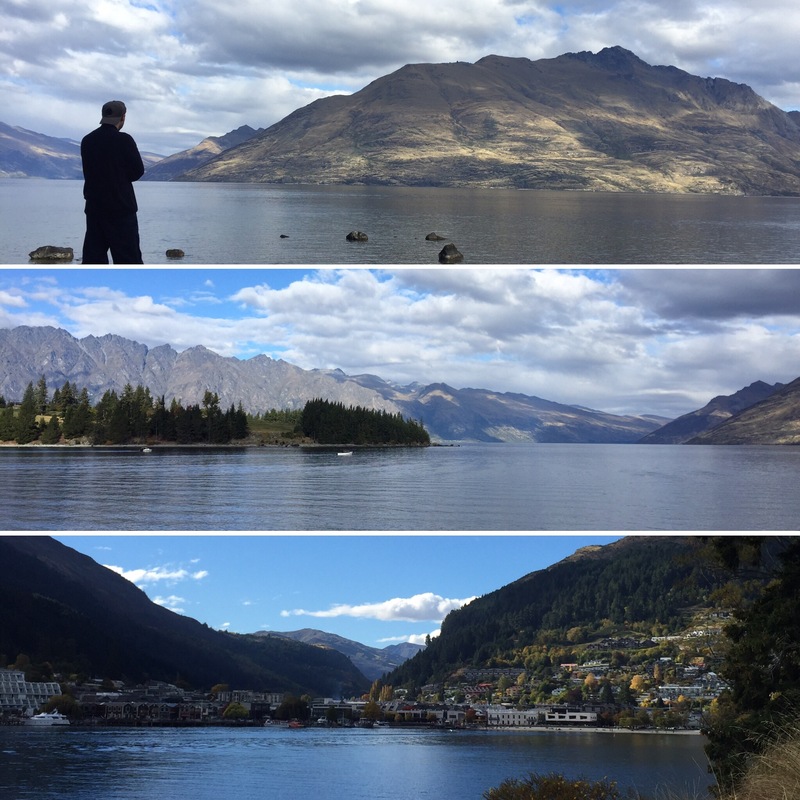 I didn’t fancy walking up a big hill so I spent some time with Safia, Elle and Arthur from our previous bus, wandering the shops in Queenstown and chilling by the lake. It was nice to relax with them and catch up seeing as we hadn’t really seen each other since parting ways in Wellington. Once we were all reunited, we got cookies from Cookie Time as they had a 2-4-1 deal on between 6 and 7pm. You can do karaoke to get a free cookie in there and there are always crowds in the little shop. We have some friends who did karaoke every day for their free cookie! We then queued for Queenstown’s famous Ferg Burger. I got the Bun Laden which was falafel and Niall got Mr Big Stuff which was beef, cheese, bacon and BBQ sauce. 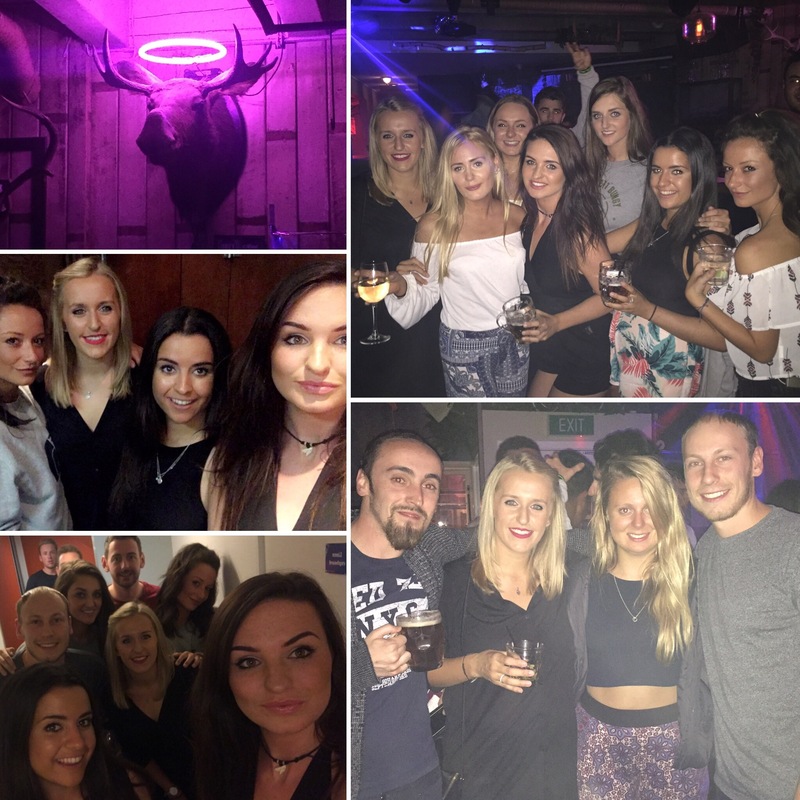 We had to queue for 25 minutes and then wait half an hour for our burgers – it’s always rammed! 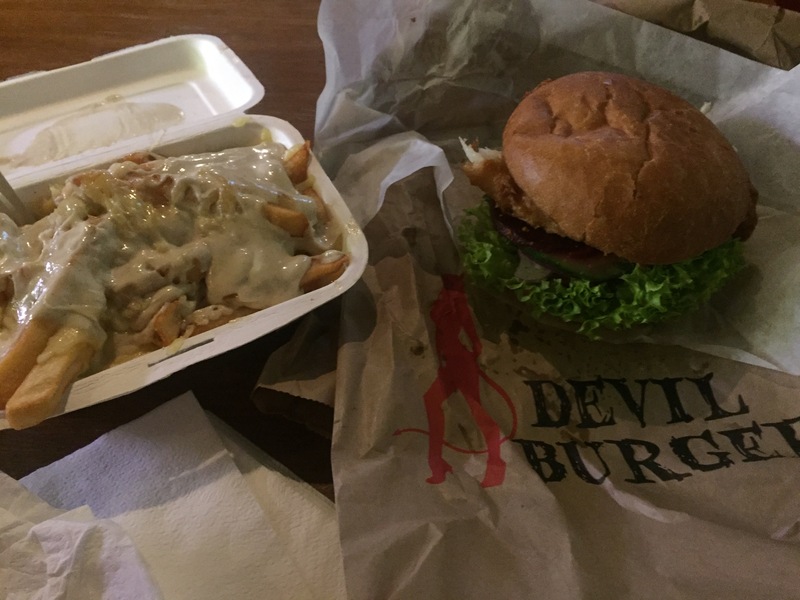 Niall wasn’t so fussed about his burger – devil’s burger was better for him. I liked my burger, especially because I added cheese to it too. We didn’t go out that night as we had our bungy jumps and some of the girls had skydives in the morning (bungy jumping is covered in the next post) so we all just chilled after having our burgers. 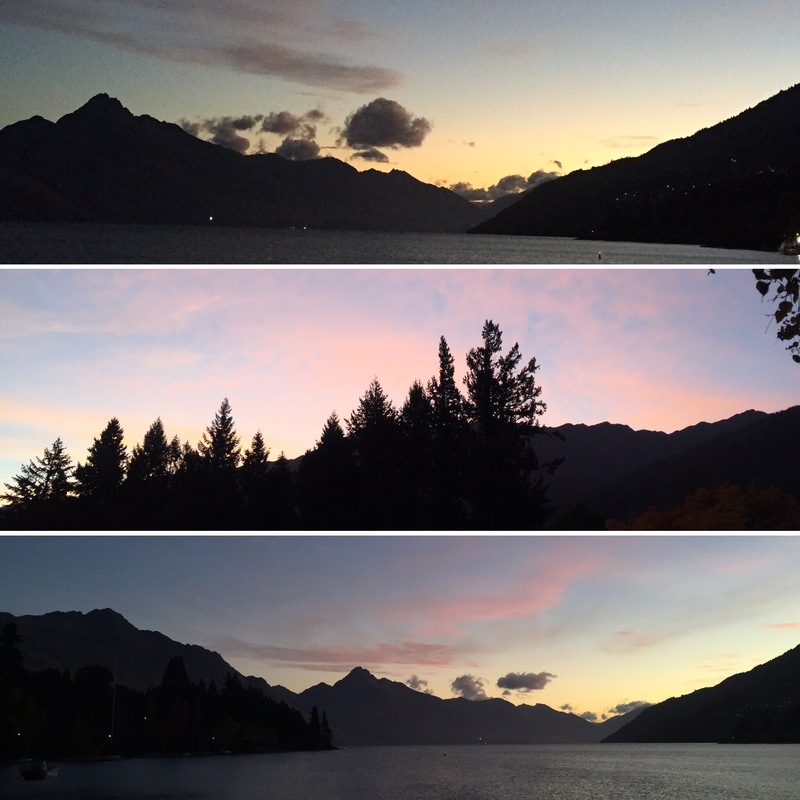 The 20th April was our last day in Queenstown. The day of adrenaline and a big night out (see next post) had really taken it out of us, as well as all of the other travelling and activities we had done the past few weeks, so we all had a relaxed day, napping and eating food. Niall and I headed to the lake to get another look at the view before we would be leaving early the next day and then we all met up for a final drink together to say bye and toast the trip we had had together. 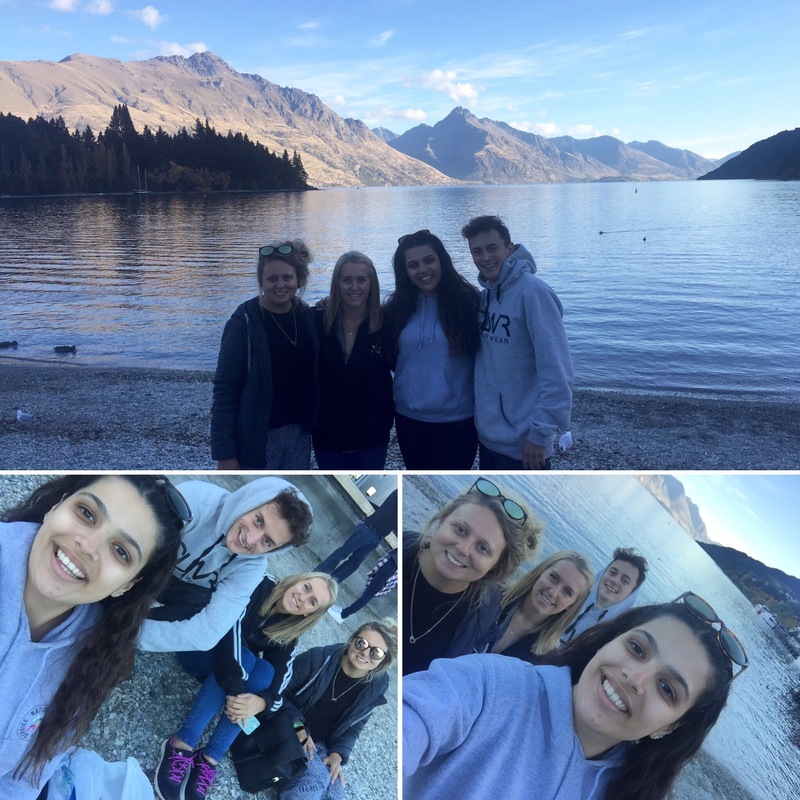 We couldn’t have asked for a better group to be in Queenstown with and we all had the best time seeing all that Queenstown had to offer. 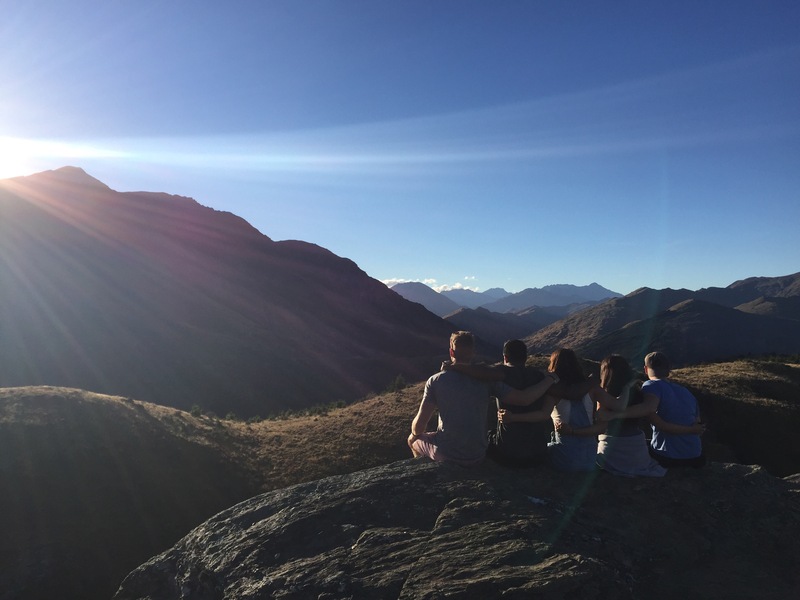 It is, without a doubt, our favourite place in New Zealand as it’s so beautiful and so fun! It would definitely be somewhere I’d like to return to one day!